In new filings with the U.S. Securities and Exchange Commission, Odey Asset Management Group, led by Crispin Odey, reported that it cut its exposure to Ryland Group Inc (NYSE:RYL), Ethan Allen Interiors Inc. (NYSE:ETH), and Quanex Building Products Corporation (NYSE:NX). London-based Odey Asset Management has $6.2 billion in assets under management. The hedge fund was founded by Odey in 1991. The fund has had its fair share of ups and downs over the years, with an unequivocal high point coming in 2008, when bearish bets on European banks allowed the manager to generate a 54.8% return in that year. As of the end of September 2014, the value of Odey Asset Management’s equity portfolio totaled $2.8 billion. The fund focuses on services, industrial goods, consumer goods, basic materials stocks. Signet Jewelers Ltd. (NYSE:SIG), D.R. Horton Inc. (NYSE:DHI) and Delta Air Lines, Inc. (NYSE:DAL) were represented as the largest holdings of the fund at the the third quarter. In one filing, Odey Asset Management Group disclosed reducing its passive stake in Ryland Group Inc (NYSE:RYL). According to the filing, the fund holds 1.31 million shares, down from 1.38 million shares held previously. The stake is equal to 2.85% of the company’s common stock. California-based Ryland Group Inc (NYSE:RYL) is a homebuilder and a leading mortgage-finance company. The company has a market cap of $1.64 billion and pays an annual dividend of $0.12, which represents a yield 0.33%. The company’s stock, which closed at $35.84 on Wednesday, dropped by over 13% during one-year period. 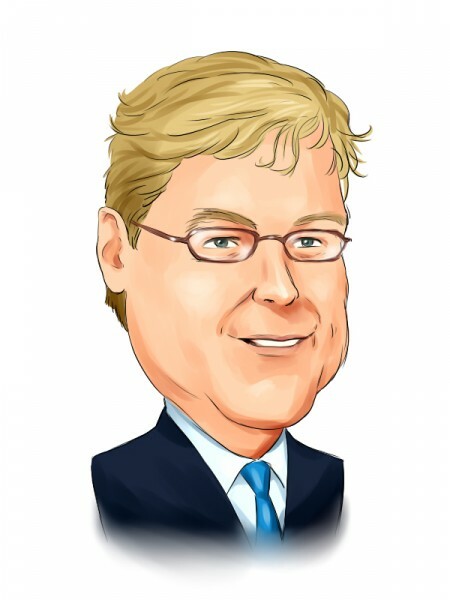 Other investor betting big on Ryland Group Inc (NYSE:RYL) include Impala Asset Management, managed by Robert Bishop, which added the company to its portfolio during the third quarter of 2014, holding 4.05 shares at the end of September. Ken Fisher’s Fisher Asset Management reported ownership of 2.33 million shares, and Ken Griffin’s Citadel Investment Group disclosed holding 1.80 million shares of the company, as of the end of third quarter. Another investor is Appaloosa Management LP, led by David Tepper, which reported owning 1.08 million shares of the company at the end of the third quarter.